Allegro Shirt is holiday happy sartorially splendid. 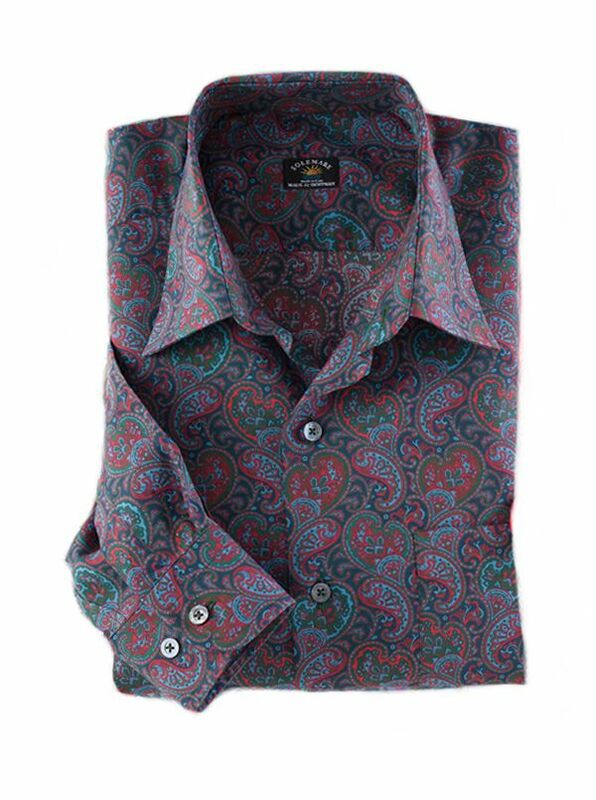 Tailored in Italy of pure cotton printed in Italy exclusively for M&H. With point collar long sleeves single pocket.